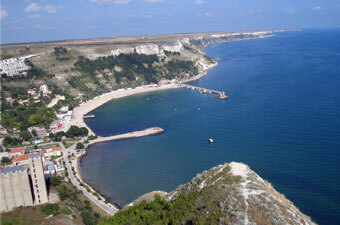 Kavarna is a town in northeast part of the country, and is located on the sea coast, between Varna and Dobrich. It has been established in V-th century BC by Greek colonists. The town is economic and cultural centre during Ages Antiquity and middle ages. This was evidenced by survived fortress walls, early Christian basilica churches, buildings, coins, jewelry, golden Thracian riches from ornaments and other artifacts. You could take a look at this monuments, by booking low cost rent a car. In time of Turkish invasions the town almost has been erased, but in the XVII century it is rebuilt. The exhibition shows the millenium history of the town and the area. You could see also an interesting model of ancient cave village. It is beautiful old house, which shows a different exhibitions of the way of life of people, which have lived this region in the end of XIX century. It is unique natural phenomenon, located inward the sea. It is long and thin. It is declared for a natural and historical sanctuary.The cliffs make a wonderful view. There are also a museum, restaurant and lighthouse. The area has very rich historical past. You could see a dolphins, monk seal and cormorant. The area around the town is great for a perfect vacation. Except the unique nature, you could taste the traditional Bulgarian cuisine. It is a terrace, which is separated from the Dobroudja plateau by rock massifs. Here is also located a cave village with more than 100 caves, which are from 5th century BC. Rusalka is a beautiful sea resort near Kavarna, in unique reserve “Bird Bay”. Against the background of strong built up resorts in Europe, it has retained its natural beauty. You can rent low cost rent a car, from our site LowCostCars guarantee the cheapest rent a car in Varna and the area. If you`re planning to visit Kavarna, and haven`t booked your car yet, you could do it by using our reservation form. If your start point is Varna, LowCostCars has office on Tsar Osvoboditel 17 A, or from the airport, where you could take your car. Kavarna is perfect destination for a trip from Varna. Kavarna has a perfect conditions for a sea tourism, the coast is length 42 km. The town has yacht port and fishing station, spacious beach and a resort part, and the town attract the customers not only as a resort, but as a capital of rock music. Every year one of the most famous rock groups are invited in Kavarna. The area has a good conditions for a village tourism in the villages Bulgarevo, Kamen Bryag and Topola. 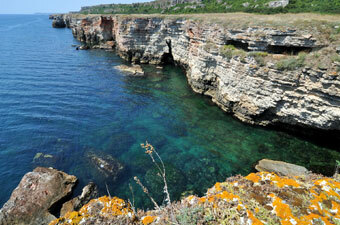 Nearby are also the fortress of Kaliakra and mussel farm. Next to Kavarna are Thracian Cliffs golf and Black Sea Rama golf too.